A three-member bench of the Lahore Supreme Court, comprising of Mr. Justice Saqib Nasar, Mr. Justice Ajaz Chudhary and Mr. Justice Umer Atta Bandial allowed the petition for a full hearing of Asia Bibi’s case. The court stated that it is essential to examine her case for administration of justice. The Supreme Court also suspended the death sentence upheld by the Lahore High Court. The case was presented by Mr. Saif Ul Malook, Asia Bibi’s counsel. 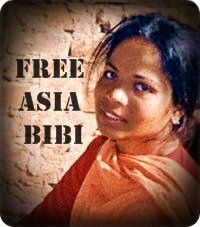 The court raised an objection to the delay in filing the appeal as Asia Bibi’s sentence was confirmed on 16 October 2014, but the appeal was not submitted until October 22. Mr. Saif Ul Malook explained that on October 24 the filing branch office of the Supreme Court raised an objection about the certified copy of the judgment which had been appended with the appeal. The objection was removed on October 26, which caused – two-day delay in the filing of the appeal. After hearing the arguments of the counsel of Asia Bibi, the Honorable Bench was of the view that since Asia Bibi has been convicted and fined with Rs 100,000 and since her appeal was dismissed by the Lahore High Court, therefore for the purpose of safe administration of justice, the delay was condoned and leave was granted for the appeal. Meanwhile the judgment passed by the Lahore High Court was suspended until the final decision of the Supreme Court of Pakistan. Apart from Asia Bibi’s husband Ashiq Masih, CLAAS’ team, Advocate Mr. Tahir Bashir, Ms. Rubina Ghazal and Aqeel Naveed, there were only about 10 people from the media and NGOs were also present in the court. The complainant was also present. During the hearing, the court asked if Bibi is in Jail. 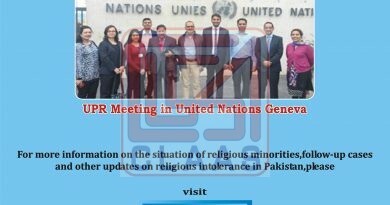 The mother of five was arrested in June 2009 when her neighbors in a village near Nankana Sahib accused her of making derogatory remarks in respect of the Holy Prophet (Peace be upon him). She has been behind bars for the last six year and on death row since November 2010. She denies all the charges against her.